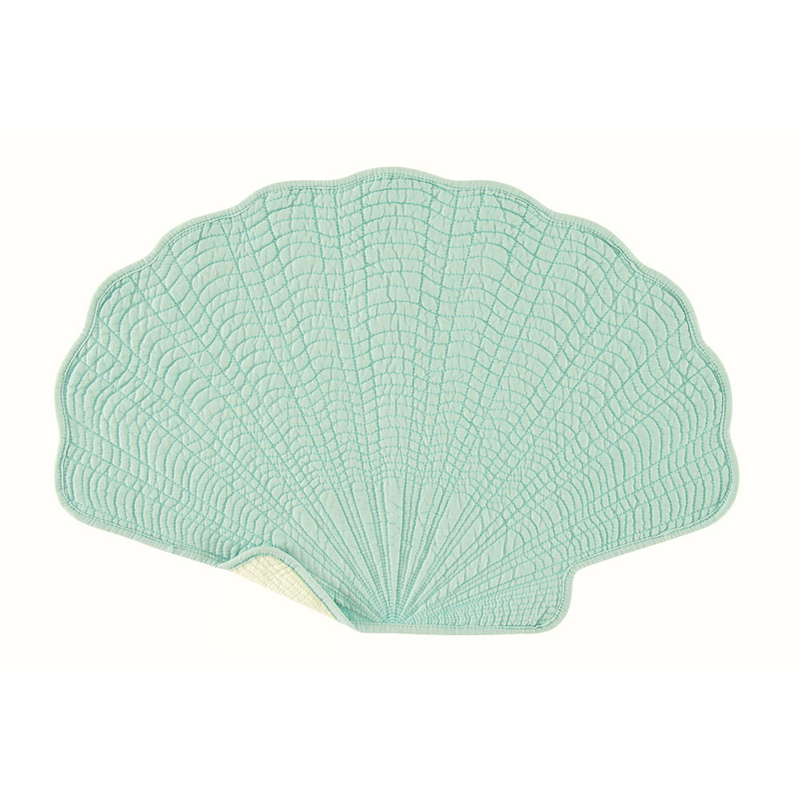 Create a tropical atmosphere in your dining table with this Set of 12 Aqua Shell Reversible Placemats. These quilted placemats feature a scallop shell shape with decorative stitching in solid aqua that reverses to white for defining style. This coastal kitchen decor ships from the manufacturer. Allow 1 to 2 weeks. For many more offerings, we invite you to take the opportunity to explore our comprehensive range of coastal kitcen decor at Bella Coastal Decor today.